After we have seen how to create video presentations using Movenote, we are introducing you today to another important educational web tool that will enable you to create and share video courses. 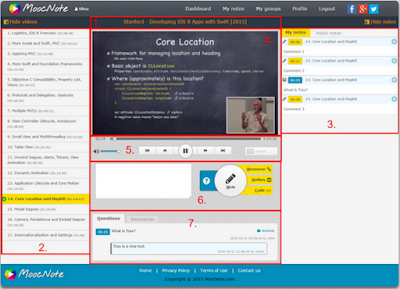 MoocNote is a handy application teachers can use to create annotated video lessons to share with students. This is especially helpful for Blended and Flipped learning classrooms. You can import an entire YouTube playlist or a single video from YouTube , Google Drive, or Dropbox, and use MoocNote course editor to add notes and questions. Notes you create will link back to the exact places in the videos where you took them and you can access all of your notes anytime from a single place. 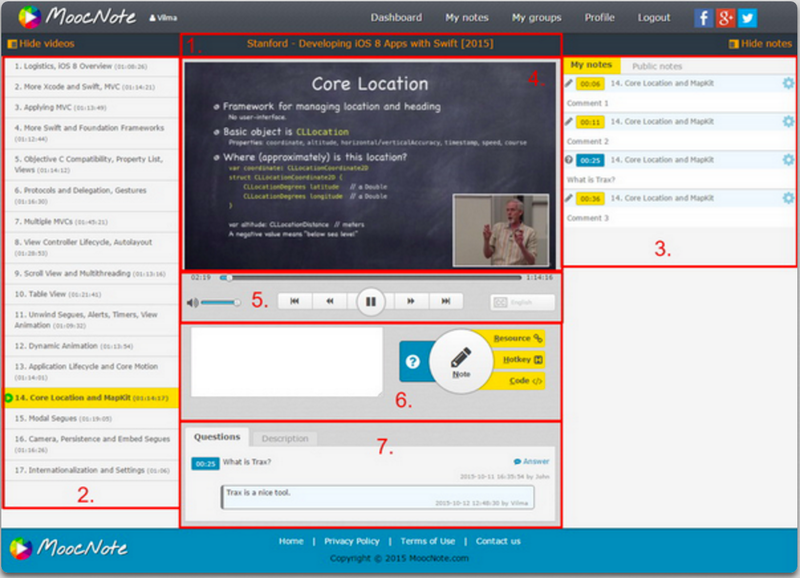 Check out this user manual to learn more about how to use MoocNote.